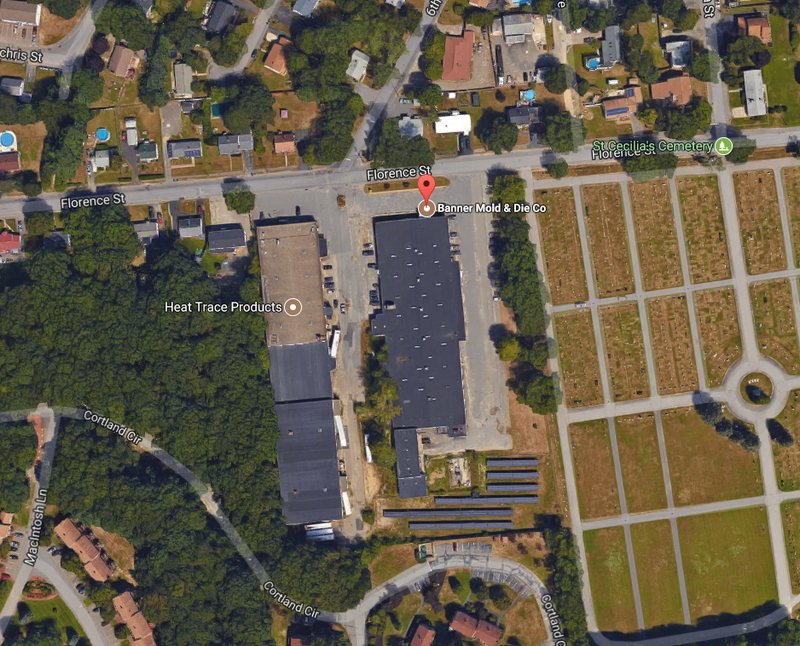 Directions & Map - Banner Mold and Die Co., Inc.
From the East: Take Route 2 West to Exit 33 (190 South & Leominster). The off ramp will place you on the Leominster Connector, do not take the 190 South exit. At the second traffic light, turn left onto Mechanic Street. Turn right onto Sixth Avenue. Sixth Avenue will end at Florence Street. Travel straight across Florence Street to the Banner Mold & Die facility. Click on for an overhead interactive map. From the West: Take Route 2 East to Exit 33 (190 South). Take Exit 8 (Mechanic St) off 190. At the end of the ramp, turn left onto Nashua Street. Turn right at the next traffic light onto the Leominster Connector. At the next traffic light, turn left onto Mechanic Street. Turn right onto Sixth Avenue. Sixth Avenue will end at Florence Street. Travel straight across Florence Street to the Banner Mold & Die facility. From the South: Take 190 North to Exit 8B (Route 2 East & Mechanic Street, Leominster). The exit ramp will split in two, bear left to Mechanic Street; do not take Route 2 East. The off ramp will place you on the Leominster Connector. At the second traffic light, turn left onto Mechanic Street. Turn right onto Sixth Avenue. Sixth Avenue will end at Florence Street. Travel straight across Florence Street to the Banner Mold & Die facility. The loading docks are located on the left side of the building.